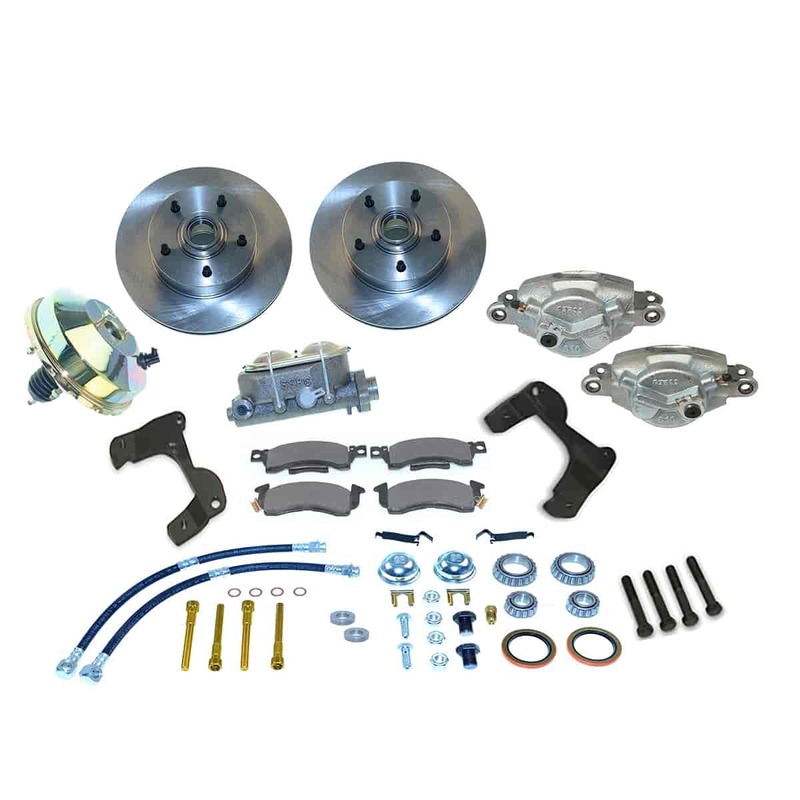 Complete and easy to bolt on, SSBC Disc Brake Conversion Kits include single piston cast iron calipers, vented rotors, and necessary hardware. Calipers are anodized clear. Based on application, some kits have Turbo slotted and Xtra Life plated rotors. Power, manual, 2" drop, or stock ride height... SSBC has your brakes! Does SSBC A129 fit your vehicle? Fitment_Note: Minimum Wheel Size 14 in. x 7 in. Per the manufacturer, the kit is designed to work with most wheels that are 14&quot; or larger in diameter, which should include original wheels. However, we recommend test fitment before installation to confirm this.